If you are the fans of the InuYasha Feudal Fairy Tale. Then, you really deserve this costume. First, it is delicately made of cotton material, which is soft. Second are the cute designs, which give this costume a sophisticated and traditional look. It will enable you to be the character easily. How can you unmoved when you see such a gorgeous costume. Really great Inu Yasha Cosplay, I'm really happy with it !! 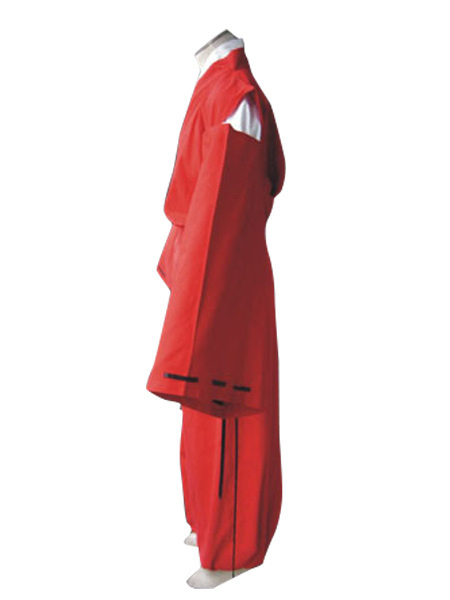 The cosplay consists of the red trousers, the white under-kimono, the red kimono, with the black bands on both sleeves and a red ribbon that is tied around the hips in a loop. The quality is surprisingly good. No cheaper, thinner fabric, which after a few times wear already slowly dissolves in air. Everything was sewed nice and clean, there are no threads or running stitches. So far I've worn the Cosplay to 5 conventions and washed them 6 times, at 30 ° with a low spin and of course upside down so it does not lose color so fast. It looks the same after washing as it did before. Really great!! At the beginning I had some difficulties to tie the two kimonos correctly, but there is a simple trick and only the white bands are connected and only the red bands are connected. 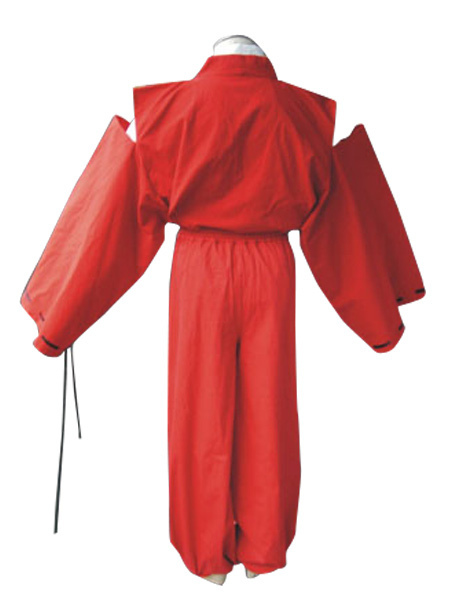 For any Inu Yasha cosplayer, I can only recommend this cosplay. 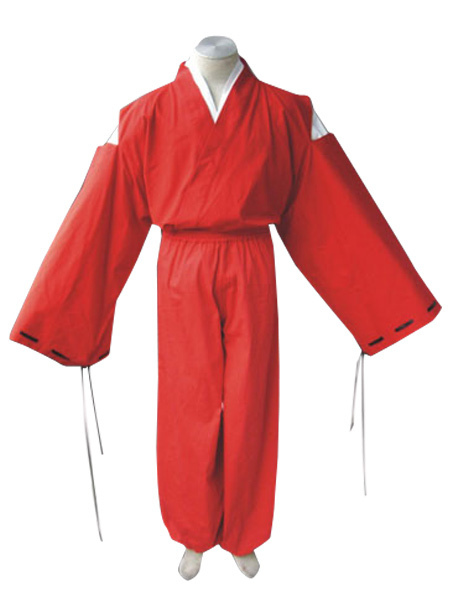 The only thing missing is the black ribbon with the bow that Inu Yasha wears across his red kimono, but you can easily do it yourself. Class Cosplay !! Truth be told, milanoo was the first place I searched as I have always found good stuff for reasonable prices here. The costume is great and the material used is top quality. I’m an InuYasha fan and I had wanted a costume for a while now but no place could match the costume to the character like milanoo here. Not only is the costume good quality but it is also quite accurate and captures the character quite well. The fit is good and the costume manages to do just the right thing for me. I only miss not having a matching accessory Thank you milanoo for helping me find this great product! This is really costume I wanted .It looks cool and attractive. Cosplay is great. Came in two days earlier than I had originally anticipated, which is even better. 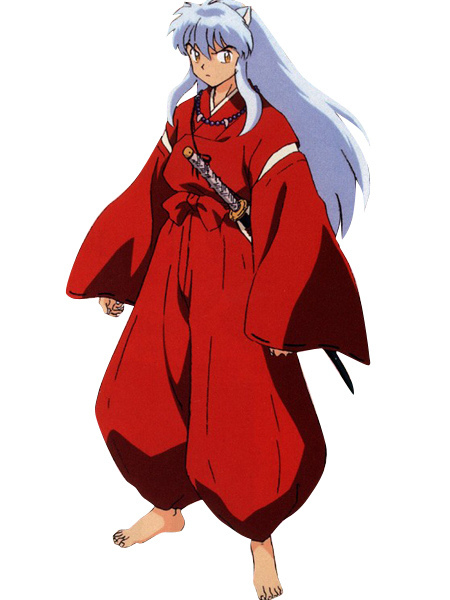 I've been looking for a really good Inuyasha outfit for a while, and found this one for a good price. The price matches the quality. The outfit itself is fitting and feels great. Can't wait to wear it to this year's Convention that my friends and I are going to. Very happy with this product! I love the quality of the outfit and can't wait to wear it to a convention. Fast processing and shipping for a tailored costume. Definitely worth the price! Se tardaría 18-22 dñias en entregarle este cosplay. Puede ver el envío exacto en el carrito.